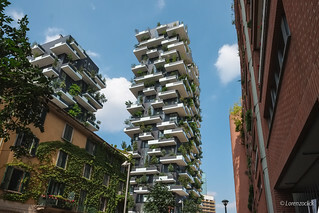 Bosco Verticale (Vertical Forest) is a pair of residential towers in the Porta Nuova district of Milan, Italy, between Via Gaetano de Castillia and Via Federico Confalonieri near Milano Porta Garibaldi railway station. They have a height of 119 meters and 87 meters and will host more than 900 trees (approximately 550 and 350 trees in the first and second towers respectively) on 8,900 square metres (96,000 sq ft) of terraces. 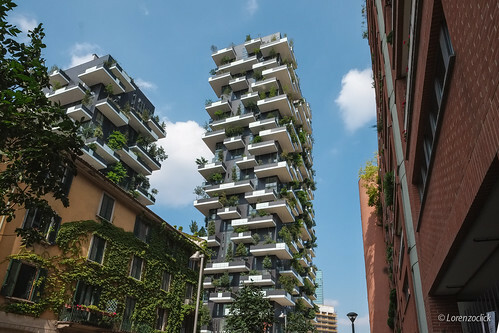 The towers were designed by Stefano Boeri, Gianandrea Barreca and Giovanni La Varra. It also involved input from horticulturalists and botanists.